In this work, a systematic approach is proposed to estimate the disturbance trajectory using a new generalized Lyapunov matrix valued function of the joint angle variables and the robot’s physical parameters using the maximum likelihood estimate (MLE). It is also proved that the estimated disturbance error remains bounded over the infinite time interval. Here, the manipulator is excited with a periodic torque and by the position and velocity data collected at discrete time points construct an ML estimator of the parameters at time \( t + dt \). This process is carried over hand in hand in a recursive manner, thus resulting in a novel unified disturbance rejection and parameter estimation in a general frame work. These parameter estimates are then analyzed for mean and covariance and compared with the Cramer Rao Lower Bound (CRLB) for the parametric statistical model. Using the Lyapunov method, convergence of the “disturbance estimation error” to zero is established. We assume that a Lyapunov matrix dependent on the link angle and form the energy corresponding to this matrix as a quadratic function of the disturbance estimate error. Using the dynamics of the disturbance observer, the rate of change of the Lyapunov energy is evaluated as a quadratic form in the disturbance error. This quadratic form is negative definite for the angular velocity in a certain range and for a certain structured form of the Lyapunov energy matrix. The most general form of the Lyapunov matrix is obtained that guarantees negative rate of increase of the energy and a better bound on the disturbance estimation error convergence rate to zero. This is possible only because we have used the most general form of the Lyapunov energy matrix. 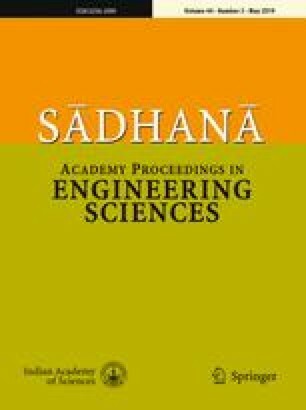 This work was supported by grant (SR/CSI/24/2011(C and G)) from the Department of Science and Technology, Government of India.